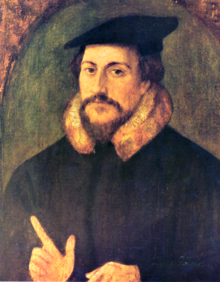 One of his examples of such “doctrinal atavism” was the opposition of Calvin to Copernican ideas, which he may well have based on a quite reasonable BioLogos article of 2014, whose main fault is probably its non-sequitur ending that “it would be a great error to use John Calvin’s 16th century mind to oppose the accepted scientific consensus of today,” suggesting that he would have opposed today’s “factional groups” (for which we might read Third Way or Intelligent Design) as much as he did Copernicus. This may well be true, but the lesson surely must be that he would be no less likely to turn out to have backed the wrong horse: nobody now praises Calvin for his staunch geocentrism. And in the centre he put the soul, which he diffused throughout the body, making it also to be the exterior environment of it; and he made the universe a circle moving in a circle, one and solitary, yet by reason of its excellence able to converse with itself, and needing no other friendship or acquaintance. Having these purposes in view he created the world a blessed god. Then Plato goes on to compare God’s creation of man by similarly forming a “globe” (the skull) around the brain. Calvin is, in a witty shorthand way, saying that in all this baseless speculation Plato got lost in his own “globe” – ie thoroughly mentally confused. And that is obvious unless you are reading Calvin to undermine, or too lazy to check the primary sources. Motto for the year: Never take a scholar’s word for someone’s views until you’ve read and understood the original sources. Returning to Copernicus, in fact Calvin never even mentions his name once throughout his voluminous writings. But as the BioLogos article says (and quotes), one passage in a commentary on the psalms demonstrates he was indeed a geocentrist, and more significantly, a scholar called Stauffer discovered a passage in a sermon on 1 Corinthians 10 in which the Reformer inveighs against what are obviously Copernican advocates. What is more interesting than the “theology opposes science” trope (why do Christian scientists still use that echo of the discredited “warfare hypothesis”?) is why he was a geocentrist, the context of his remark, and whether it has any bearing on his theological doctrine, and the wider questions of science and faith. In the Spirit of the times Calvin applies this (Stauffer says) to a group that tried to combine Reformation doctrine with traditional Catholicism, resulting in a dog’s breakfast. There is, Calvin suggests, a moral element to this, a desire simply to be contentious and different, contrary to nature. It is at that point that he makes the reference to the same attitude being behind the new desire to turn nature inside out, ie heliocentrism. In other words, the reference to astronomy is a sermon illustration of a textual application about an attitude of the heart, from a passage about syncretism. Une conclusion s’impose donc: les chercheurs qui ne désespèrent pas de découvrir d’autres échos anticoperniciens dans l’oeuvre de Calvin ne peuvent plus se contenter d’y jeter des coups de sonde plus ou moins bien orientés comme ils l’ont fait jusqu’ici. C’est à une lecture patiente et systématique des Calvini opera et des Supplementa calviniana qu’ils doivent désormais s’atteler. And though the article appeared in 1971 and attracted much attention, simply because it proved that Calvin did know about, and oppose, Copernicanism, nobody has found anything yet, so such a passage probably doesn’t exist. So although it is clear that Calvin was a geocentrist and opposed, when the sermon was preached in 1556 (16 years after Copernicus published), to the new cosmology, his opposition was, in his only reference to it, because of what he took to be moral attitudes fuelling its supporters. Did he have any grounds for that? Indeed did he have grounds for not being a Copernican himself? The French religious wars were marked by intolerance and fanaticism… In this atmosphere of crisis and relative intellectual freedom the old Aristotelian and scholastic certainties were shaken. 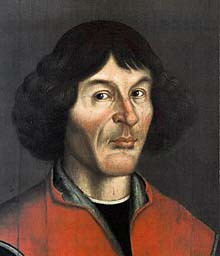 As a result Copernicus’ heliocentric theory became a subject of debate between different schools of thought. Conservatives regarded the notion of heliocentricity as a token of religious, moral and intellectual subversion. Neo-Platonists, sceptics and Ramists used the heliocentric idea as a means of attacking philosophical orthodoxy. The validity of the theory was hotly disputed by French humanists and scholars becoming enmeshed as it did in the philosophical conflicts of the period. Neo-Platonists, Ramists and sceptics proved to be particularly receptive to Copernican ideas or made use of them for their own purposes. Calvin was the epitome of such French humanists, and took a side. It seems parallel with something like Intelligent Design, which divides the Evangelical community in a similar way: many on both sides are vehently opposed to the other camp (though maybe that will change – certainly the controversy will move on). Prior to Galileo the epistemic position of the theory was highly questionable. A physical theory of the universe was considered to have real explanatory force while a mathematical hypothesis or theory such as Copernicus’ commonly was taken to be merely a convenient or economical description. Moreover, prior to Galileo empirical proof of the validity of the heliocentric view was largely absent. Likewise before Galileo an alternative physics which could support Copernican astronomy did not exist. Hence Copernicanism had a hypothetical status in sixteenth century France that made it somewhat less threatening to conservatives than it subsequently became. So, as has often been said before, but equally often forgotten, before Galileo Copernicanism didn’t have much science behind it. And as the BioLogos author rightly says, Calvin was intellectually backing the consensus science (though it’s important to add that other Calvinists soon went on to be staunch proponents of Copernicus). The last sentence is also significant – at the time of Calvin’s sermon it wasn’t really a threat to the old order, but more an anomaly useful for an object lesson. I’ve tried to think of a modern analogy to Calvin’s words, but all of them are relatively weak, because the Ptolemaic type of geocentric system had been developed and confirmed for nearly 2000 years, and not even gravity is that long-established in our time. My best comparison would be the commonest Christian attitude to string theory, which is that it’s completely unproven, and supported heavily by skeptics largely to sideline the Big Bang theory and downplay creation. There are indeed some believers who, on scientific grounds, think that string theory and the multiverse may well prove true, and that Christianity doesn’t need to defend the Big Bang theory. But I would not be at all surprised if I found a prominent Evangelical theologian (or a philosopher!) on YouTube saying that flag-waving for such an undemonstrable theory, against the standard model, reveals a contentious motivation against both rational science and Christian faith. And if it should turn out, in twenty years time, that string-theory were confirmed, he’d be embarrased about his former view on the science, but still justified in his condemnation of contentious attitudes lacking evidence. As for Christian doctrine, it is established neither by YouTube lectures nor by sermon illustrations from a particular Sunday in Geneva in 1556. 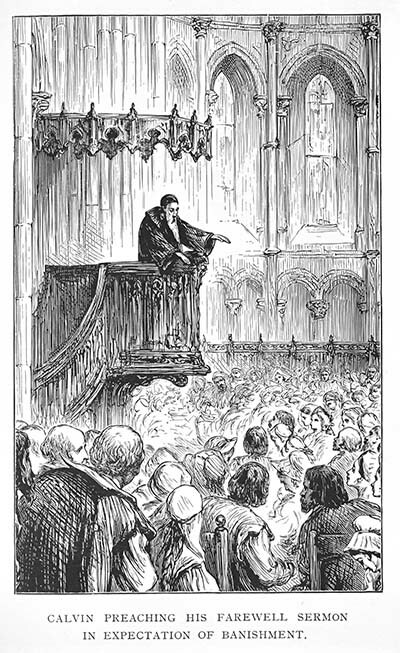 I myself have said many extraneous things in sermons that might turn out to be factually mistaken, but it would be a bit unfair to criticise my theology, on the basis of one spoken illustration in my entire corpus of work, five hundred years later. Sermons are not preached with posterity in mind. Calvin’s geocentrism doesn’t even seriously affect his commentary on the psalms – his words on God’s wonderful maintenance of the cosmos are easily translated into Copernican terms. His major doctrinal work was the Institutes, and geocentrism is not even hinted at there (any more than flat-earth cosmology is). And yet, as I mentioned at the start, there are those who would read flat-earthism into the Institutes to discredit him, just as skeptics like Bertrand Russell used spurious quotations from him about Copernicus for the same reason. That confusion of truth with falsehood is, ironically, exactly the meaning of his reference to heliocentrists in his 1 Corinthians sermon. This entry was posted in History, Science, Theology. Bookmark the permalink. Thanks for filling in the necessary nuance to better understand that situation. What has been done to Calvin follows a still practiced pattern of attack in many different contexts today. Here in the U.S. politically, it strikes me as a bit hollow when the opposition has to artificially drum up an opportunity for lawsuit, no matter how righteous the cause invoked. If one has to coach a school teacher to break the law (as in the Skopes trial) or provoke a targeted shop into some actionable discriminatory act (as we see in recent political kerfuffles here), it seriously undermines the status or credibility of the cause seeking such offense for itself. That’s all a long way of saying, I appreciate and share in your displeasure with those who pursue “boat-rocking” merely for its own sake or for the sake of opposing something that they had set themselves to oppose on quite other grounds anyway. If they can’t honestly win their case on the truer prior grounds, then seeking to rouse trouble in other round-about ways strikes me as a guerrilla warfare tactic or an “end-justifies-the-means” transgression. I suppose I may practice such things in my own way, and be shown to be hypocritical. So I do write that with some trepidation and only the beginning of reflection. One has to be exceptionally egotistical to be an exception to that. Or living in the modern age, I guess – the basement of my old church was filled up with cassettes we’d preached and stored “in case of need”. I think we cleared them out in the end, but I see that some of my sermons from 10 years ago and more are online at their website. I found one on “creation” there and listened back, in case it turned out I’d completely changed my views since my forays into BioLogos, The Hump and so on. No such luck – it was pretty much the same old stuff I’m saying now, though I’d probably do my five minute introduction on Enuma elish differently. But you’re right about the current culture of “conviction by soundbyte”: the number of items even on BBC NEWS about people revealing their U-turns or hypocrisy at a “private dinner”. If you ever get to hear the full context, it usually turns out to be just muck-raking.